Hi Stampers! First of all I'd like to apologize for not posting in a while. For you L.A. residents you know that the Dodgers were battling against the Phillies to make it to the World Series. So, all my time has gone to watch my Dodgers play and hopefully win. Unfortunately, our dreams of making it to the World Series were shattered yesterday with the devastating loss against the Phillies. Well, at least now I'll have more free time to stamp! That is unless I get distracted by the USC Trojans football or the 49ers or the Colts. Hee,hee. Anywho, last Saturday was my friend Lety's workshop. It was lots of fun and she did great in sales, earning $60 in FREE merchandise along with 4 FREE stamp sets! Isn't that great! 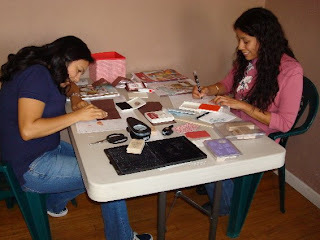 Contact me if you'd like to host your own workshop and earn FREE merchandise and STAMPS just like Lety!! 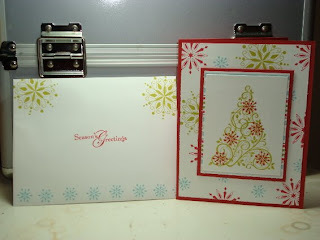 Below are the the 3 projects we made: a gift card holder and two cards. 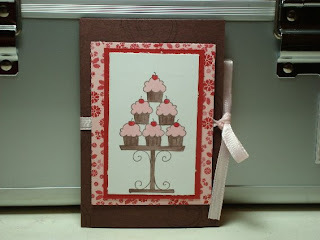 The gift card holder was made using the Crazy for Cupcakes stamp set (Love it!) which is currently 20% off! Contact me or click on the flyer at the right for more information. Lety saw the gift card holder that we did at Christine's Workshop here and loved it so she asked to do one at her Workshop. We stamped the noisemaker from the set in Chocolate Chip ink on the Chocolate Chip cardstock. Then layered Bella Rose Designer Series Paper, Riding Hood Red and Whisper White. The cupcakes were also stamped in Chocolate Chip Ink and colored in using Blender Pens. 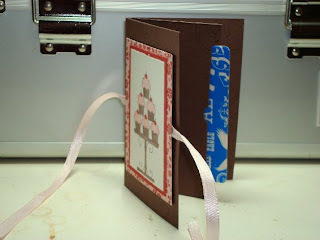 We then tied the gift card holder closed with Pink Pirouette Grosgrain Ribbon. This next card is a Christmas card that Lety also requested and asked if we could use the Snow Swirled Stamp Set. I CASEd this card from someone over at SCS but I can't remember who. As soon as I find out I will give them credit for creating such a lovely card. I really love this Christmas set and the In Color combinations look great! The ladies at the party really liked the colors as well. You can't tell in my sample, but we layered the Christmas tree on Ski Slope Designer Series Paper. I cut mine a little too short but believe me it's there! I think if I do this card again, I will add Dazzling Diamonds to it. Of course we decorated the envelopes as well! The final project we did was a greeting card, per Lety's request as well. I decided to use some more "masculine" colors because I know how hard it can be to make a card for the special guy in your life. 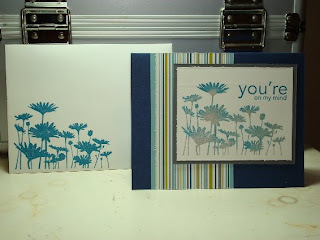 The flowers and sentiment are from the Upsy Daisy Stamp set (Love It!) 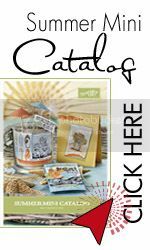 which is one of my favorites of the new catalog! We stamped the flowers in Going Gray Ink first then used a sponge dauber and dabbed it in Night of Navy Ink. We then took the the dauber and dabbed directly onto the stamp to add some of the Night of Navy onto the flowers and stamped it on Whisper White Cardstock. Again, the ladies loved this technique! I love when I get "Ooh's and Ahh's" at workshops don't you? The striped paper is from the Banbury Designer Series Paper. 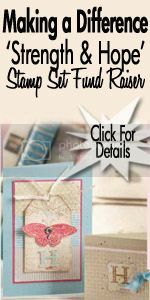 And don't forget the matching stamped envelope as well! 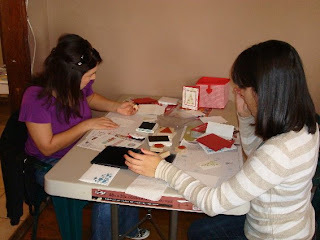 Lastly, here are the pictures of the wonderful ladies who attended Lety's Workshop, stampin' away and having fun! Thanks for stopping by today! I will be working on Halloween Projects for the next few days so stayed tune for those. Good Night! 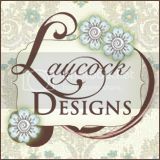 Love the layout you choose for your blog. Love all your lovely creations to. I hope I get to post some of mine soon? Don't know always so busy.